Allison Connor (Costume Designer) performed in TheatreWorks’ very first production, Popcorn! She went on to earn an MFA in costume design from New York University, and to design costumes for over 20 productions at TheatreWorks including To Kill a Mockingbird; Twelfth Night; Dessa Rose; Intimate Apparel; Vincent in Brixton; Bat Boy: The Musical; Floyd Collins; Side Show; and Cabaret. Other Bay Area theatres where her work has been seen include Berkeley Repertory Theatre, Aurora Theatre Company, California Shakespeare Festival, Magic Theatre, and Opera San José. 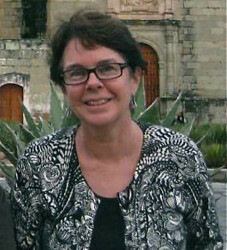 Ms. Connor is an instructor at San Jose City College, where she teaches Art History and Color Theory. It was a fantastic opportunity to visit Europe for the first time. I went to the theater every night in London, and to the great museums every day in London and Paris. I use those museum experiences every day in the classroom. I went from being a costume designer to teaching art history at San Jos? City College, which I love. Talent will only get you so far; hard work, perseverance, and good people skills are required to sustain a career. Theater must evolve to survive.